How appropriate that on the day following Martin Luther King Day that we turn our attention to “Southern.” This was another scarce OMD instrumental; or would have been had it not had excerpts from Martin Luther King’s final speech in Memphis on behalf of the striking sanitation workers in April of 1968. I can’t shake the feeling that Paul Hardcastle’s “19” set the stage for this track, though King’s speech was thankfully not scratched to the beat. The best thing about this track were the heraldic horns from the Weir Brothers. They had some of the heft that one could find in John Cale’s “Helen Of Troy.” I’d go as far as saying that they were the height of OMD dalliance with a horn section. It was surprising to hear this track placed first on side two; normally the place for a hit single. This was nothing of the sort, and truth be told. It had the feel of a B-side rather than an LP deep cut. It really didn’t feel at home on the album to these ears. Of course, OMD being OMD, there was second, questioning narrative voice included on the end of the track as an announcer spoke words wondering if the history of black America was so awful, that casual prejudice instead of overt strife and despair was as good as it would ever be. The next song actually was intended as B-side material, but in the recording of the demo, the band quickly realized that “Flame Of Hope” was too good to be lost to a B-side. I concur, and commenter Richard Anvil had yesterday mentioned that “This Town” was originally slated for the album with “Flame Of Hope” earmarked as the B-side for “[Forever] Live + Die.” Fortunately, saner heads prevailed and the more interesting and typical “Flame Of Hope” found it way on the album. The track began with a revisit of the Japanese ad samples looped to make an abstract rhythm pattern while the sampled strings added dignity along with the sampled leads. The latter evoking those from the Gizmotron® used by Godley + Creme on 10cc’s “I’m Not In Love.” One of my all-time favorite sounds. “Flame Of Hope” was a brief but compelling song with some of the best McCluskey vocal leads on the whole album. His work there was right “in the zone” so the sometimes strident tone he’d adopt was unheard this time. Then came a big uptick of energy with “Goddess Of Love,” the song originally written for “Pretty In Pink” before the re-write put the kibosh on that. This song was not without its weaknesses, but put next to “If You Leave” in the PPM comparator, it revealed a robust pop song miles better than what eventually became their calling card in America. Only the intro rubbed me the wrong way with the overly jaunty arrangement perhaps contributing to McCluskey’s decision to oversing in the intro [surfeit with emphatic reverb] like a Muppet version of himself. His overly boisterous mien being clearly fraudulent to anyone with a passing familiarity with Andy McCluskey. Other than the clumsy intro, the tune did pop like a great single with the many repeats of the title reverberating in the choruses like a hall of mirrors. 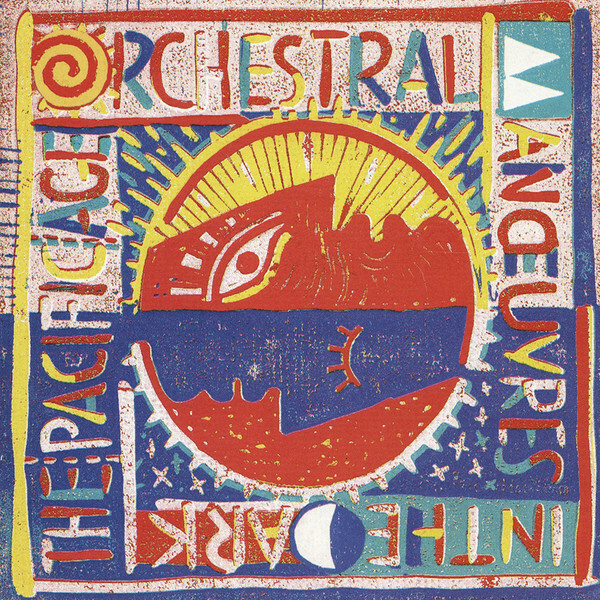 Though I had known that this was the original song intended for “Pretty In Pink,” I only discovered last week that OMD had still re-wrote the song for inclusion on “The Pacific Age.” The horns were used as a melodic counterpoint here instead of the full melody, which helped a lot. Made things less facile. It was disturbing to see this song used as the B-side of the third single, “Shame.” Not only should it have been the A-side to that particular single, but its usage suggested that OMD were very thin on ideas to have only one non-LP B-side for a campaign of three singles. The second and final single from the album followed on from “Goddess Of Love” and like “Shame,” it also lacked a B-side. “We Love You” was also another recycled, unused soundtrack song. This time, it was a track that had been written for the film “Playing For Keeps.” This propulsive, slightly Moroderesque track too the energy level from “Goddess Of Love” and kept it up without respite. 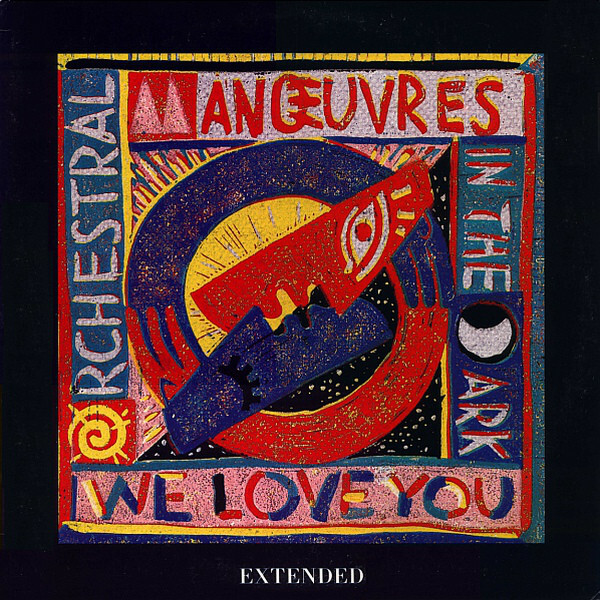 It’s hardly a definitive OMD song, but it sounds every inch a single. The charts did not agree, however. Following the success of “[Forever] Live + Die,” the best that the second single from “The Pacific Age” could go was number 54 in the UK. Two places lower than the third single would muster. Ouch. This one deserved a better fate than that. The album wrapped up with “Watch Us Fall,” an insouciant ballad that reflected more of the sound of another Liverpudlian band; that of China Crisis. The smooth, measured delivery from McCluskey coupled with the lovely alto sax solos of Martin Cooper really hit those China Crisis marks. This one really had a lovely vibe to it but it hardly seemed redolent of the OMD sound. Would you buy a Swatch from these men? This was where OMD found themselves in 1986. Dealing with a conundrum not unlike that of David Bowie concurrently. Struggling with the question of who their audience was and what they wanted. Their sales were down from a few years earlier with the band shifting their emphasis to try to triangulate to the whims of the capricious [and alien] US marketplace. They were on an endless treadmill of write/record/tour and had exhausted their infamous well of inspiration. The fact that only a single non-LP B-side [and not one of their proudest moments in that regard either] graced just one of the three singles released from “The Pacific Age” spoke large volumes on the writing difficulties that beset this particular album. It was a unprecedented decision to once again work with Stephen Hague for the second album in a row. OMD had always moved from producer to producer no matter what their level of success each time out. It seemed that with Hague’s help in making tough inroads into the American market with some success that they were loath to jump ship. At this time, Hague was cementing his hitmaking reputation with a run of singles from Pet Shop Boys that would make their name and largely pick up from where OMD was leaving off. The incipient professionalism of this album was a bit of a drag. The female vocals were an even bigger sign of capitulation than the horn section had been. The other big outlier of conventionality was bringing in session guitarist Kamil Rustam for the sort of slick guitar sounds that were alien to this band. It had been jarring when the in-your-face rhythm guitar was up front in the mix of “New Stone Age,” but the band were reflecting Brian Eno’s influence honestly even as they actually played said instrument themselves. Fortunately, I found the overall caliber of the material to be a slight improvement to what greeted my ears on “Crush.” At least in hindsight. I recall that contemporaneously, I found this album even more watered down than the “Crush” album. I never had much enthusiasm for it and I had listened to it far less than I had with “Crush.” At least the former had been my first new OMD album on CD, which probably accounted for the higher level of playback for it at the time. Even so, OMD were obviously skating on this ice. The Mid-80s Malaise® had obviously struck them hard, as it had with most bands I had collected from the late 70s/early 80s. This entry was posted in Core Collection and tagged 1986, OMD, Stephen Hague. Bookmark the permalink. I’m not in Love…. all time favorites you say (steeples fingers)? I’ve extended that one as far as one can go, in three versions, just the song, with mashups and as part of uber-glorious mix set. Tim – Bless you, son, for the “steeples fingers” line! Tim – Thanx for the tip! I usually forget to delve into the entertainment features when I’m at The Guardian. I spend a lot of time there, sadly their reporting of the state of things in the US is much better than anything that I find produced….uh….here. There’s been some fantastic articles on poverty in the US in the past few months created by that paper. Tim – I’ve seen these articles. We don’t need a Depression to Make America Poor Again. Years ago my old school friend who relocated to Brazil warned me that the state of his new home is the future of the US and time has been (sadly) kind to his prediction. You are so on target, Monk, when you characterize McCluskey’s vocals on Flame Of Hope as being “right in the zone.” They are much more believable vocals than on most of the other tracks. I enjoy Goddess Of Love more now than I did 31 years ago. The opening was rough and Andy sounds like a man about to burst a blood vessel in his head. Not sure how I see the song working in the same spot in the film, even if Molly Ringwald had walked off with John Cryer instead of Andrew McCarthy. But it fits into my understanding of OMD more now than it did then. Echorich – And “Flame Of Hope” is a great little, brief [under 3:00] song that does what it does in a straightforward manner and leaves you wanting more. Man, do I dislike this album. Makes Crush sound like a masterpiece. I have all three 12″ singles, but I don’t think I have played any of them since the ’80s. I did pick up a couple of singles after this one, but there would not be another OMD album for me until History of Modern. Have been back on board and happy as a clam since 2010. Brian – I used to be there with you. In fact, until [very] recently, I thought of this album as the red-headed stepchild of OMD. I could tell that “Crush” was a sea change for the worse, and felt that this one was a precipitous drop off in quality, but the careful listening 30 years later revealed to me that I felt this one was a smidgen better than “Crush.” As we will soon see going forward, my feelings about the Mid-80s Malaise® period OMD has undergone some dramatic shifting in the last decade or so. But it’s true that I almost never played this one! Not a fourth as much as I had played “Crush,” but as I stated, “Crush” was my first new OMD album on CD so that probably entered into it. I did not bother cleaning up the OMD singles that I was missing from the upcoming period until the creation of the OMD BSOGs in 2001. Interestingly Flame Of Hope was written, recorded and mixed in under 4 hours, very similar to their previous almost lost to b side masterpiece Romance Of The Telescope. I’m not surprised that there is an earlier recording of Goddess Of Love as that makes sense. If it had been recorded and included on the original film soundtrack of Pretty In Pink I don’t think John Hughes would have accepted the ‘sample’ intro on the album version. OMD tended to re-record previously dropped tracks plus as If You Leave was produced by OMD and mixed by Tom Lord Algy it’s likely they also produced the original version of Goddess too. If the guys ever get around to a deluxe edition of Pacific Age (which at the moment seems very unlikely as they have stated how much they loathe Crush so are unlikely the revisit either album) we might get to hear it. I’m guessing it would sound more ‘Crush’ than ‘Pacific’. Are you going to talk about Dreaming and the singles collection? Richard Anvil – I think there’s something to be said for working at a brisk pace and not overworking anything. My personal methodology is to work relentlessly, but reach a stopping point and come back to is fresh the next day. Often there will be a small thing you didn’t think of that will set something off with a few minutes of extra work that make a difference, but working and working until “it’s done” is almost a recipe for disaster to me. I had been wondering whether to discuss any of the OMD compilations. The first one sums up their story in a useful way, so I’m likely to continue with that one next. I never bought the second one. I got the third one for the DVD, and it offers insights to the point of the reformation of the band. When I think about it, it’s shocking that there were just three OMD compilations; all by Virgin Records and no weird Disky releases blurring the lines. I hate when acts have dozens of greatest hits comps and for a band as popular as OMD, I think it’s rare for them to only have three, very legitimate ones. OMD should thank their lucky stars for that. It could be argued that the “Messages” comp was unnecessary and I’d agree, but it reflected that brief time and period where DVDs were “added value,” thank goodness! Then there are the Peel Session and B-side albums. The latter I consider one of OMD’s finest. And since we will dive into the Andy-solo era OMD, can anyone name a good reason why I should not also review The Listening Pool album? Phew! What do I do with all of this? Blank and Jones did an OMD only remaster mixes hits collection set under their so80’s imprint. It doesn’t offer a comprehensive view of the band, their ups and downs, strengths and otherwise however if one is looking for an OMD comp that screams “80’s CHEESE!” this would be the go-to. Tim – I forgot about the So80s series! I think of that as almost like DJ mix discs. I, for one, would read your takes on everything you mentioned. I have the first three live albums above, as well as the Peel Sessions and B-sides albums. Of course, it’s the ones I don’t have that I’m most interested to read. Brian – The downside is that I would have to purchase two CDs for the purposes of making this thread super canonical. We’ll see. And what about The Listening Pool’s “Still Life?” 3/4 of the OMD lineup making (and painting the cover) to their own album that they broke with Andy for? I feel as OMD is in The Trinity, it is up to you’re feelings on how complete a GPA this should be. I am not a live album fan. I get no charge out of hearing most Pop or Rock or any genre recorded live. I am always interested in compiled B-sides, sessions or alt takes. @Echorich – I’m in the live album camp solely to ensure that I am not completely surprised if/when I get the opportunity to see a band live. Best example of a 180 was with the Human League years ago in the UK and “Live at the Dome”; even my non-80’s wife commented on the thin/cat-like warbling vocals. I dragged her on a road trip to see the Church years later in Seattle & Vancouver and she was amazed at how great the concert sounded –> vocals and guitars were “like the CDs but even better with extended solos and strong vocals”. Reptile was a particular fav. I also appreciate the live DVDs that are usually tossed in as most bands I like don’t travel to Western Canada. On a somewhat related note, I just finished reading all your 2017 Best of Favs post and now find myself spending a bunch of money on 5 bands I’d really never hear of / heard anything from (particularly The Luxembourg Signal which was on repeat for most of the morning). @PPM – Great OMD posts; really enjoying the both detailed and the comments; after buying and basically filing Crush, Junk Culture & the Pacific Age, it took me a while to get back into them for the same reasons both you and others have stated. I really liked the Live A&M DVD/CD and Universal [yeah, I know, wth?] which brought me back to OMD and their subsequent releases to PoL. Best blog IMHO!!! As someone wrestling with somewhat similar dilemmas over on my Bowie blog (where we recently reviewed the long-delayed Astronettes “album” as part of Bowie’s 1974 output chronologically), I’m inclined to say The Listening Pool could go either way. It is OMD minus Andy, and thus creatively interesting for what they had to say in contrast, but ipso facto it isn’t OMD without Andy, so it could easily be reviewed as a standalone or a sidebar. As this series is a Rock GPA of OMD, I think only albums bearing that name as the artist of record (#seewhatididthere) should be included, ultimately — though of course at some point I’d be interested in your views on it. chasinvictoria – Well, when they split, Andy won the rights to the name but viewed scientifically, he made OMD records with 1/4 the component parts of the band, while The Listening Pool had 3/4 of the band, but not the name! When I did the Ultravox Rock G.P.A. I covered every album with the name “Ultravox” on it, even the ones with only Billy Currie! So ultimately, you are correct. This is an OMD Rock G.P.A. so it will cover what I consider McCluskey solo albums but not The Listening Pool. We may have a sidebar later on that one as it points out the deficiencies of the schism from an entirely different angle. My personal view is, as you are documenting the progression of the band as a whole (which has since reformed in the original line up) that you MUST include The Listening Pool. Given that OMD’s most successful UK single was Souvenir, which was written by Paul and Martin with vocals by Paul, means that you can’t ignor that album just because Andy got rights to the name OMD. Also some of the 90’s OMD albums had some co-writes with Paul too. Most fair weather music listeners would have just assumed the 90’s OMD was the same as the 80’s one, but you aren’t a fair weather music listener, you are a devoted fan. 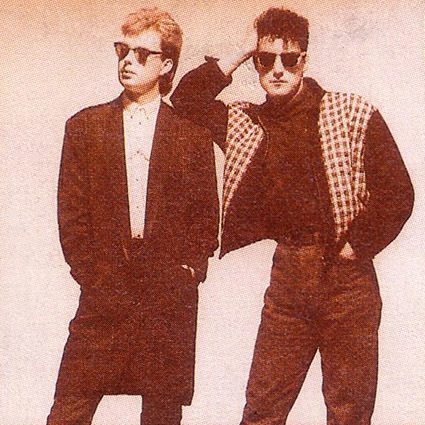 I personally find it very interesting just how different Andy’s OMD sound was from The Listening Pool but how both of them had direct musical links back to the 80’s OMD sound. To ignore what Paul was doing, when he is a significant half of the original (and now current) OMD partnership, seems to be a bit narrow. I would go even further and say that what Paul was doing later with OneTwo has had a direct impact on the sound of the reformed OMD. I hope I have made my case for covering Mr Humphreys significant works while not part of the official OMD. Richard Anvil – Curse me for the novice! I had forgotten all about OneTwo! You are clearly correct for it was the furnace in which OMD’s third coming was forged. I’ll also add I’d be very interested in a review of Navigation as OMD have released some of the most amazing b sides of any band ever. To be honest I have been rather surprised you didn’t cover them (accept in passing for a couple of them). I Betray My Friends, Annexe, Sacred Heart, Navigation, 4 Neu, The Avenue, Garden City, Firegun and Satellite are all just as good as, if not better, than the same era album tracks and in some cases even better than the A sides they supported. And of course we all know that Romance Of The Telescope (Andys favourite OMD track ever) and All The Things We’ve Made ended up as album tracks. So, yes, do cover this one. As for live albums they are only as good as the recording/band on the night/audience/tracks covered and personally for me, apart from the A&M concert Live at the Theatre Royal Drury Lane, which shows the band at their creative peak, all the others have been pretty lack lustre and I even cancelled my order if Dazzle Ships live when I found out they only covered a part of the album (but still included Sailing On The Seven Sea’s).